Every year your daughter gets caught up in the newest hit thing. She loved Frozen when it came out, heck, she still sings, "Do you want to build a snowman," as she doe her homework. And she absolutely loves all things Monster High. The fashion, and powerful girls are a pretty strong draw for her. Nothing has drawn her in though, like the real story of a "villain". She loves that Maleficent is willing to stand up for herself. 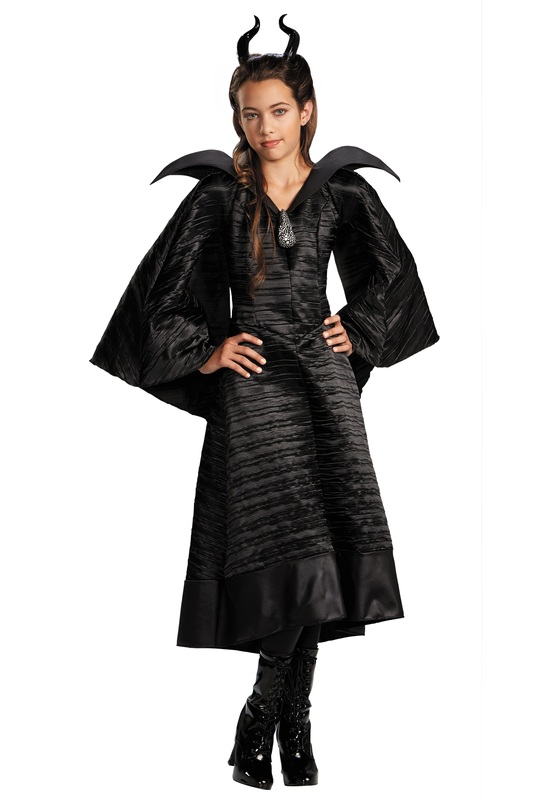 She is drawn to the dark slinky dresses that the supposedly evil fairy wears. She loves the way Maleficent is still strong after her "true" love has hurt, and abandoned her. At least the stories she is obsessed with are the stories that have young women saving themselves. Your daughter doesn’t need a man to keep her safe. No, when she puts on this Girl's Deluxe Black Maleficent Christening Gown Costume she will feel just as strong as a Maleficent the magical fairy. She will know, as the fashionable dress fills around her as she spins, that she can, and she will save herself. Because true love is more than a crush on a boy. It's the thing that can turn an "evil" fairy into a beloved fairy godmother. Again another costume that does not look cheap! My daughter is a tall 8 year old (135cm) and the size 7 to 8 fit her perfectly, glad the sizing chart was accurate.